Elevate your casual style with this classic cafe racer leather jacket crafted from 100% full grain genuine lambskin leather. 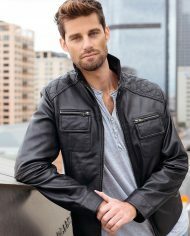 Features a snap button collar with ribbed top, diamond quilted shoulders and a premium antic-silver metal zip through front. 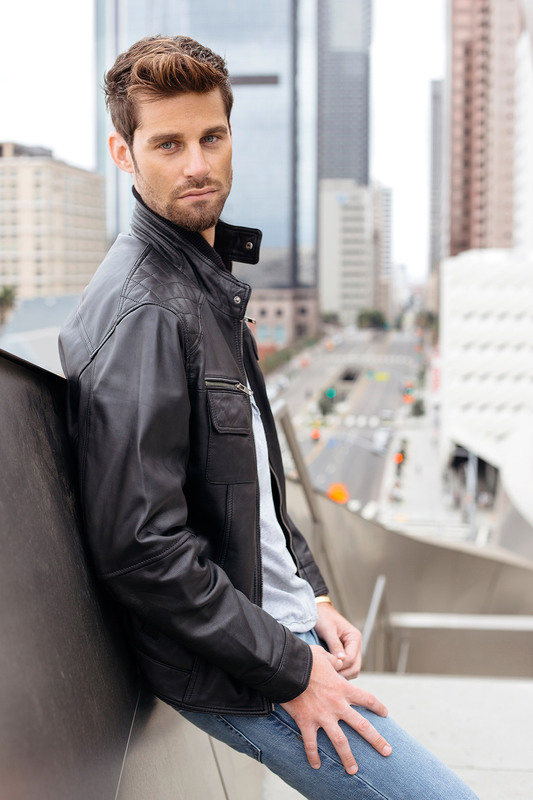 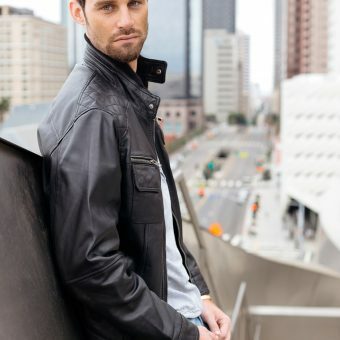 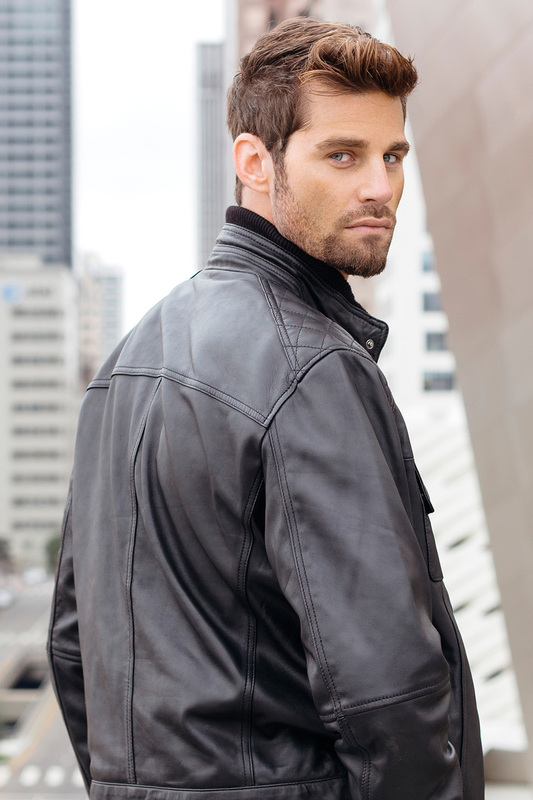 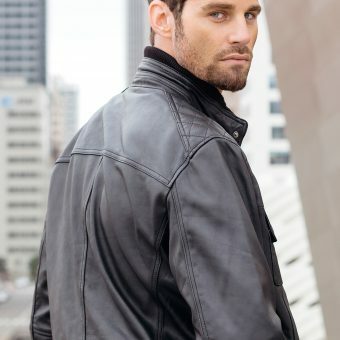 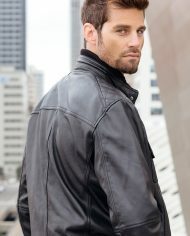 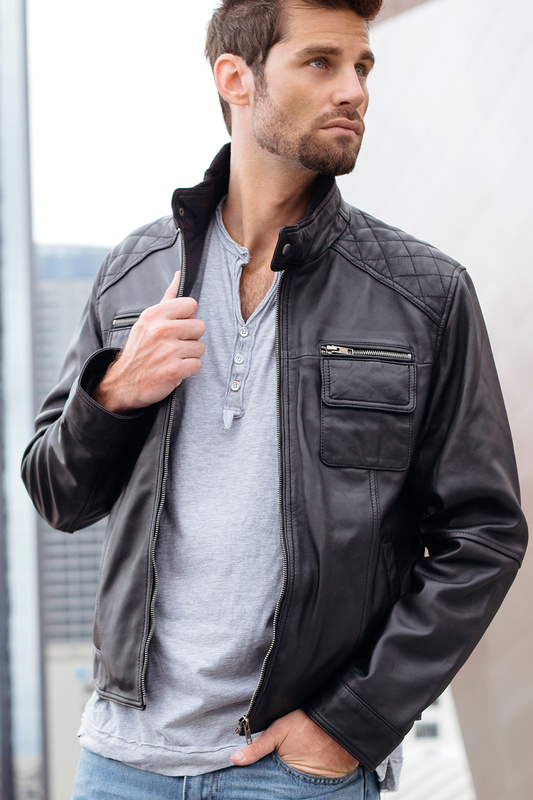 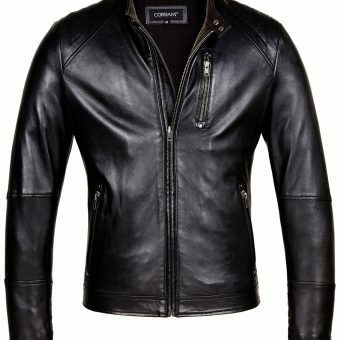 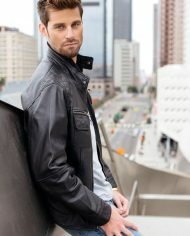 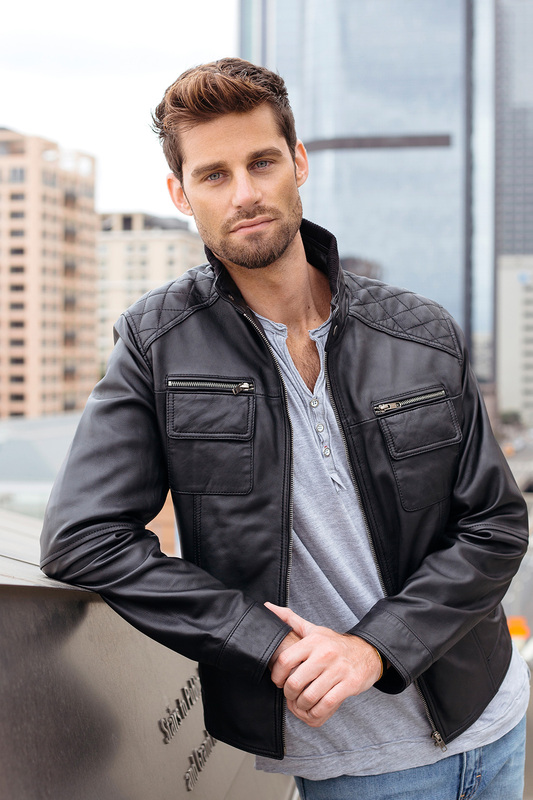 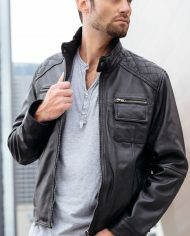 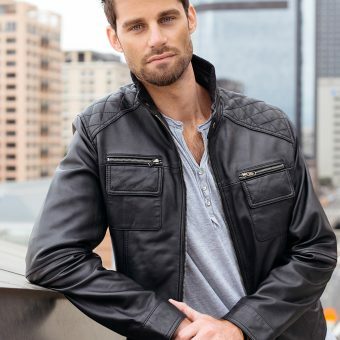 Designed for a comfortable fit this mens genuine leather jacket by Corbani Genuine has two zippered chest pockets, two snap flap chest pockets and hand pockets with snap buttons on the inside all using premium antic-silver metal hardware. 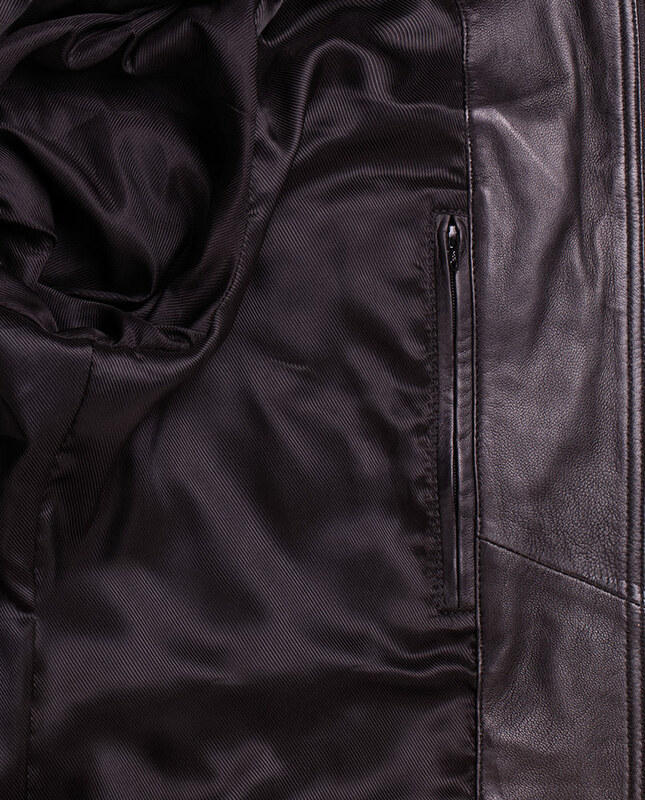 Also features two inside pockets. 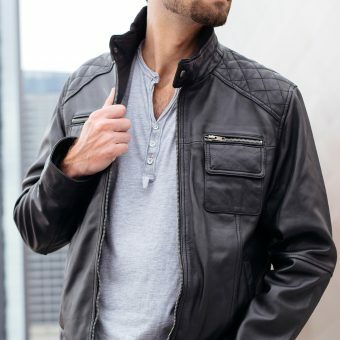 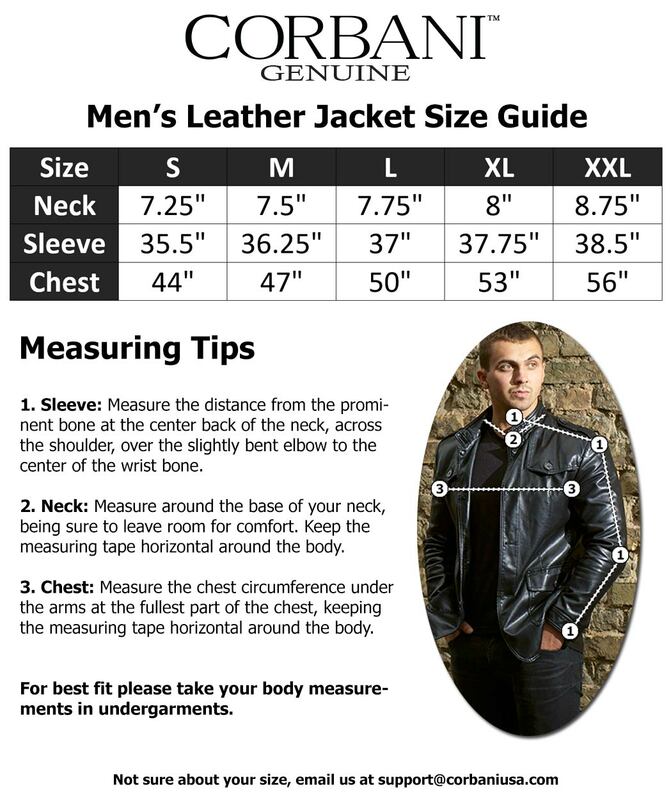 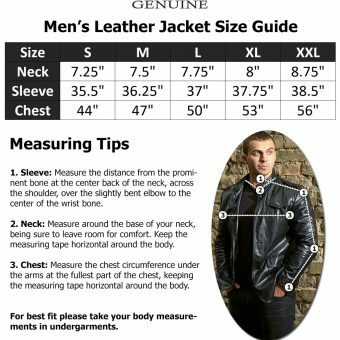 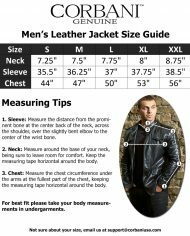 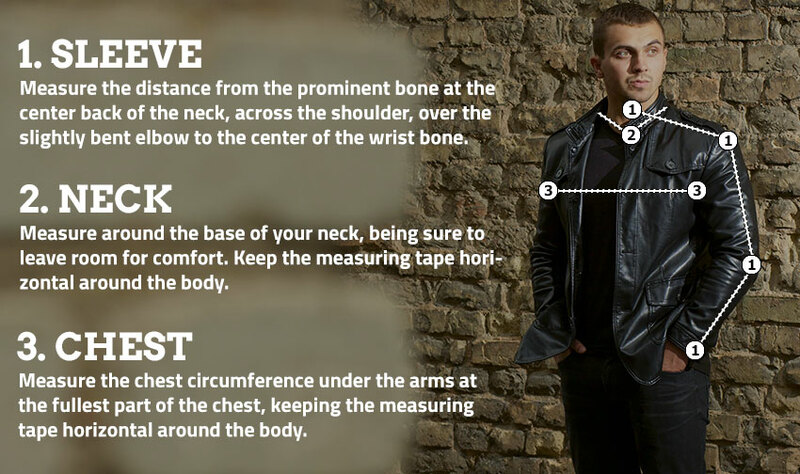 Please note that the model is wearing a size S.
Mens Leather Jackets Sale: Don’t fall for cheap leather jackets or a faux leather jacket that may only last you a few months when you get the real deal for the same price. 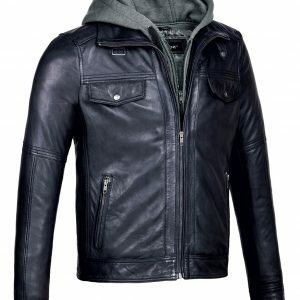 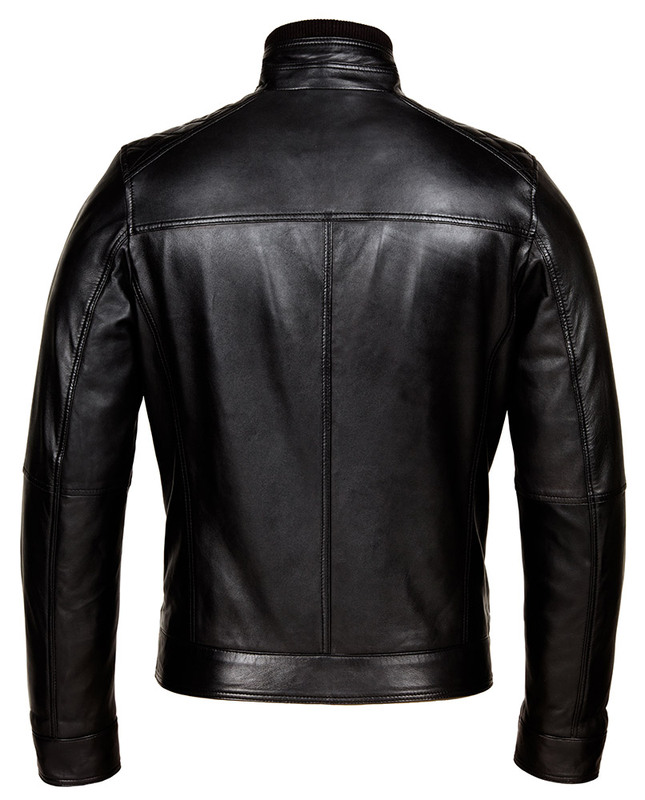 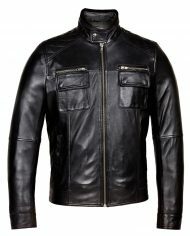 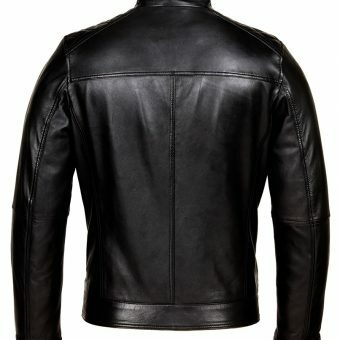 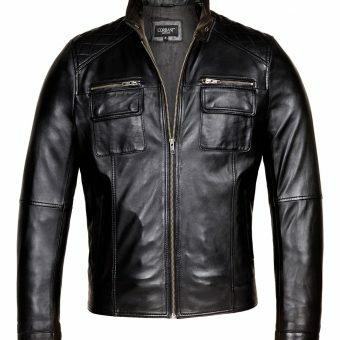 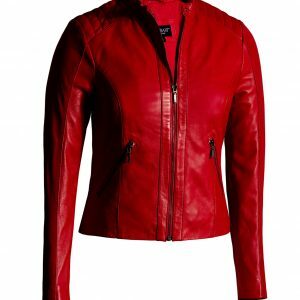 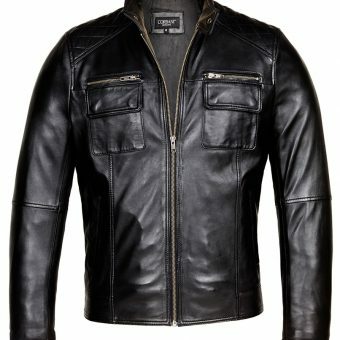 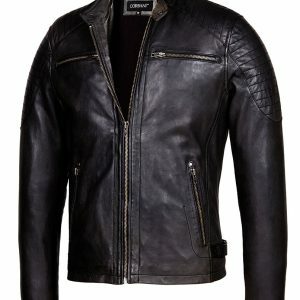 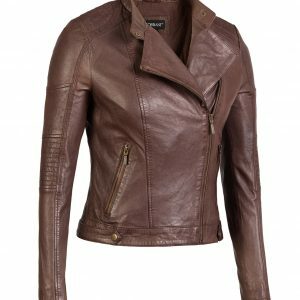 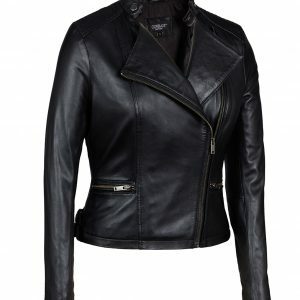 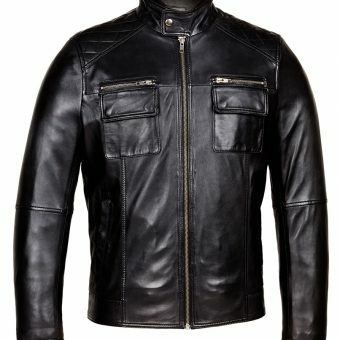 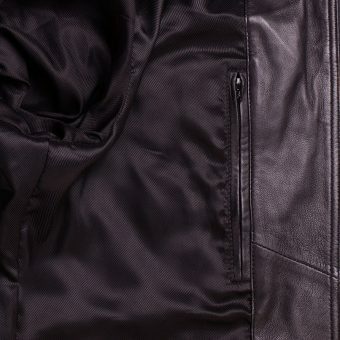 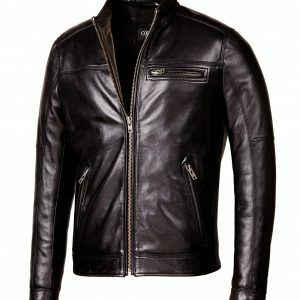 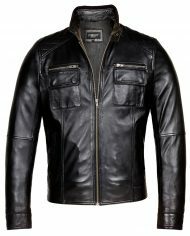 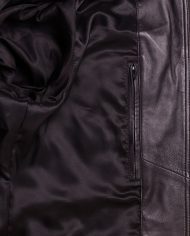 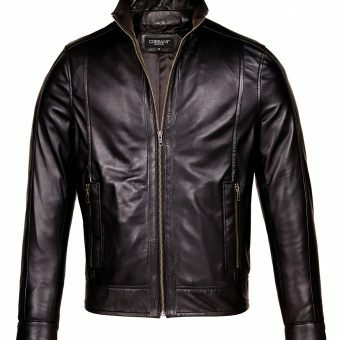 This is a Genuine Leather Jacket that is worth $499, we are offering Free Shipping + Returns off all Mens Genuine Leather Jackets (Limited Time Offer for US orders only).nly).